If there’s one thing we can all agree on, it’s that nurses deserve a lot more appreciation than they get. Nurses Week is all about addressing this issue and celebrating the amazing work that nurses do. This year, the theme for National Nurse Week is “Nurses: Inspire, Innovate, Influence”. Being a nurse means that you’re inherently inspiring, innovative and influential. These are all skills that nurses develop further everyday due to the type of intensive work that they have to do. Use your years of experience fine-tuning these skills to teach the next generation of nurses. One thing that you can certainly do this Nurses Week is to reach out to nursing students in order to inspire and influence them. 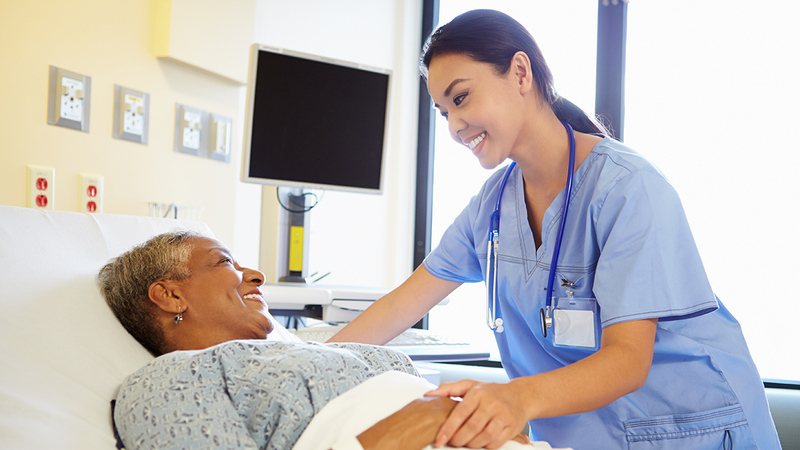 As students entering a hard field, nursing students are always looking for someone to guide them and would be highly appreciative of any mentors. This year, take the theme of inspire, innovate and influence to heart and reach out to the next generation. This can encompass everything from teaching a class to writing blog posts detailing all that you’ve learned in the years that you’ve been a nurse. It’s not only fun but also very emotionally fulfilling so if you have some spare time, I’d recommend reaching out to these students. As a nurse, there’s never a slow day and it can sometimes feel like no matter how much coffee you drink, you don’t have enough energy to do all that needs to be done. This Nurses Week, find time everyday to take a break, no matter how short it is. You can go to the bathroom to decompress and stretch or you can take a moment to get a quick snack. You can’t be the best version of yourself, as a person or a nurse, if you’re stressed and unable to find balance. Even though you’re a nurse, you’re also a human being who requires small breaks once in a while. This week, learn to prioritize yourself once in a while so you don’t burn out. Social media tends to portray the act of self-care as bath bombs and chocolate cake. While that is important, that’s not all there is. Self care is about taking care of yourself holistically. This nurses week, take time to yourself to decide where your career is going, where you’re headed and what you can do to make sure everything stays on track. Many nursing associations will be providing promotions and free (or heavily discounted) resources this week. Take advantage of them to decide how to take yourself to the next level and do what you’ve always wanted to do. Have you always wanted to move from working in a hospital to a care home? Have you ever wanted to be a traveling nurse? This is the perfect time for you to start planning the steps you need to take to make it happen. Can you imagine how your shifts would go without your co-workers there to bear some of the burden? Take this week not only to celebrate all the amazing work you’ve done but also that of your co-workers. Show up to a shift with a box of donuts or some hot chocolate. Take the time to compliment your co-workers on all the amazing work that they’ve been doing. Spreading cheer among your co-workers will make it easier to create a collaborative atmosphere in the office. We hope that these tips help every nurse this week as they finally receive the recognition that they’ve long needed. Take this time to make use of every resource that’s possible. Nurses week is meant to be a week full of wellness, celebration and awareness. Make time for all these things in your busy schedule.